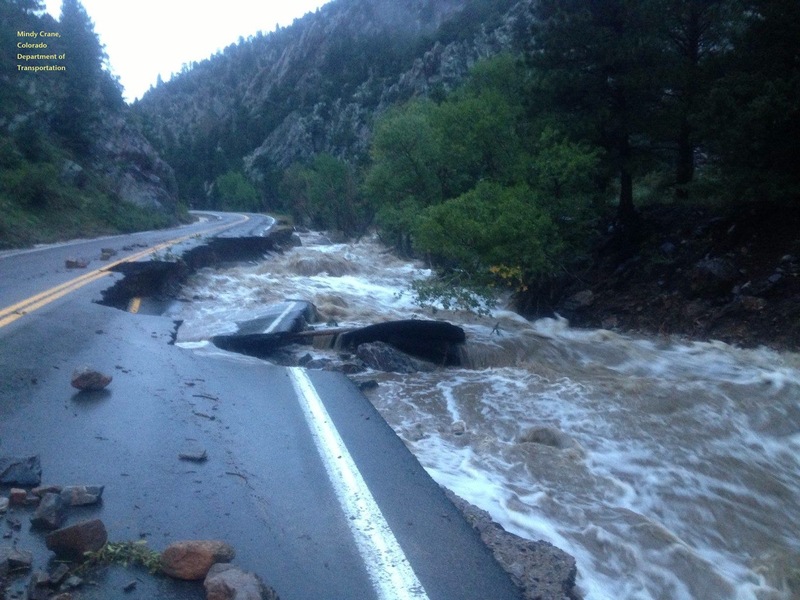 A few observations about our current Front Range flooding. First, the rain is welcome as the area is still in a moderate drought condition but wow, enough is enough! I measured well over 4.5 inches at my house but south of here- in the Boulder-Longmont area, a few observers reported in excess of 14 inches over the duration of the storm. Second, all the rain was accompanied by mild temperatures and little or very light winds. Not much in the way of downed power lines- though power and cell service were knocked out in many places. Folks from the East or Gulf Coasts who are used to September tropical storms must think it a bit strange. 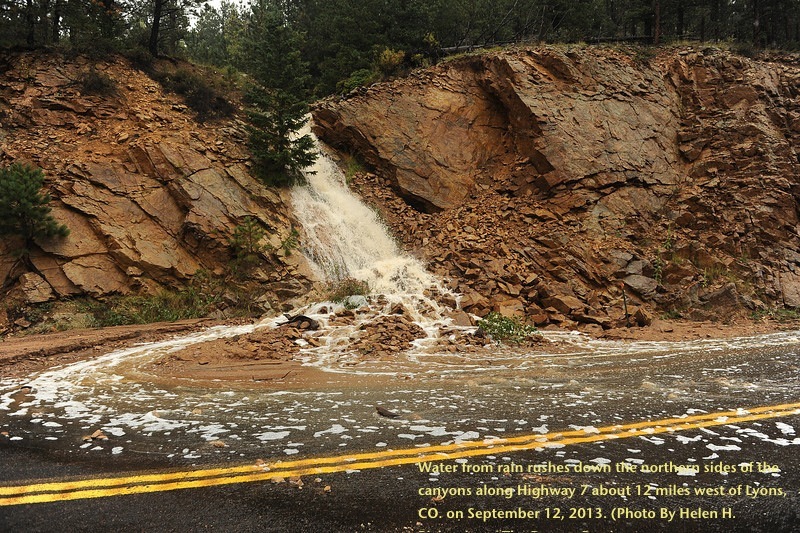 Third, and most meaningful to me are the violent bursts of water rushing down our mountain-front canyons, doing exactly what they do (geologically speaking)—vigorously eroding the land. Unlike historic flood events I can remember, this storm is quite regional, impacting the entire Front Range of Colorado, a corridor of about 150 miles. Big erosional events like these make me appreciate the power of moving water. The origin of canyons, such as those along the Front Range, are easier to understand if you do the math…. 1 meter of erosion every 1000 years (if this is a true 1000 year storm) in a million years equates to roughly 1,000 meters or more than 3,000 feet of downcutting. Of course, downcutting is an everyday event combined with the fact that the Rockies are still slowly rising albeit at a much slower rate. And, if you’re wondering, the Grand Canyon is about 6 million years old.